Lived in Horwich for over 30 years. Elected to Horwich Town Council, representing Horwich Vale Ward, in May 2011. 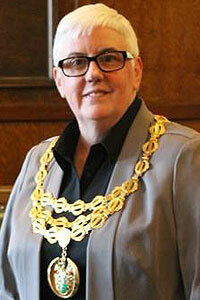 Her Civil Partner, Ms Patricia Holmes, was Mayoress. 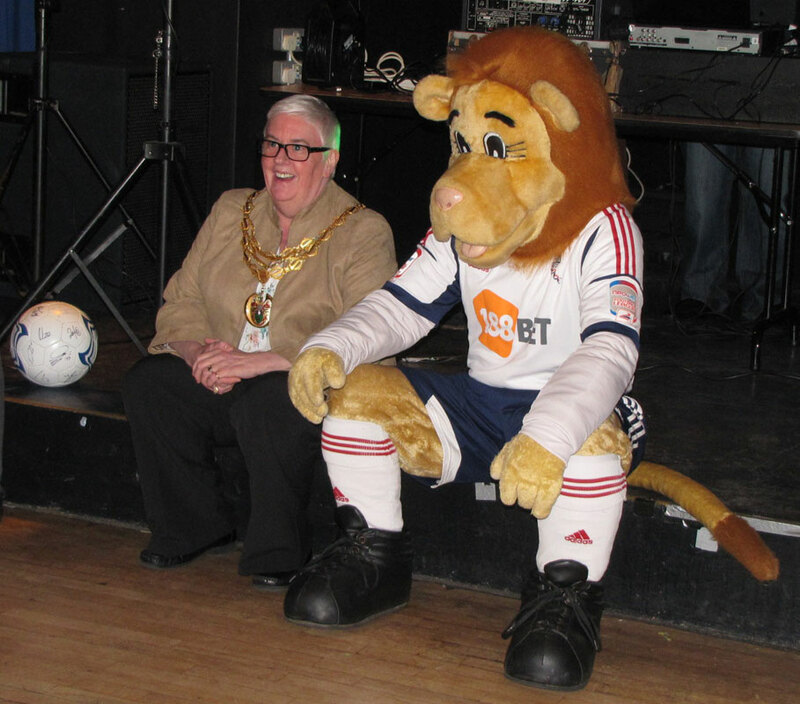 Christine Root as Mayor of Horwich with Lofty the Lion (Bolton Wanderers mascot) at a charity event.